When drivers in Glendale Heights or Bloomingdale are looking for a classic American muscle car, there are limited options to really consider. The 2016 Chevrolet Camaro is one of the first that comes to mind, and it has been fully redesigned this year with more power, a surprising amount of precision and fuel economy, and a fresh take on an iconic look. Not surprisingly, it faces its primary competition from the 2016 Ford Mustang. Take a closer look at both of these models, and if you think the latest Chevrolet Camaro is the right model for you, then take it for a spin at Sunrise Chevrolet in Glendale Heights, IL. For those who prioritize sheer performance from their next American muscle car, the 2016 Chevrolet Camaro is the clear pick. Feeding the SS trims of the Chevrolet Camaro is a 6.2L V8 engine that comes mated to a six-speed manual or eight-speed automatic transmission with paddle shifters. It puts out a staggering 455 hp and 455 lb-ft of torque, enough for it to sprint to 60 mph in an incredible 4.0 seconds. 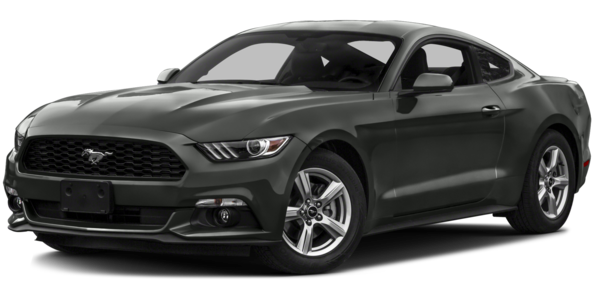 The most powerful Mustang is the GT, which comes with a 5.0L V8 and the choice between a six-speed manual or automatic transmission. Performance numbers are noticeably lower at 435 hp, 400 lb-ft of torque, and a 4.7-second sprint time. While a muscle car might be about performance at its heart, having some creature comforts can be a nice perk, as well. 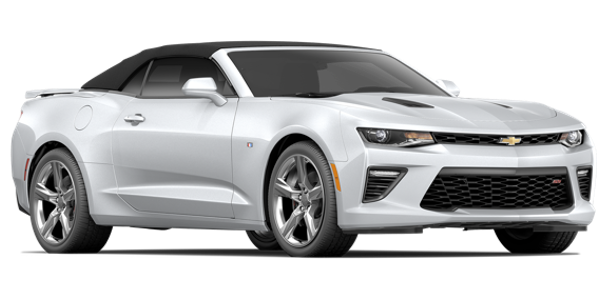 While both of these models get standard features like Bluetooth, cruise control, and rearview camera, the base 2016 Chevrolet Camaro comes with a number of advanced features that aren’t found on the base 2016 Ford Mustang. This includes Chevrolet’s advanced OnStar telematics system with emergency roadside assistance, stolen vehicle assistance, concierge service, and 4G LTE Wi-Fi. While many of these features are available on more expensive versions of Ford’s telematics system, there’s no version of the Ford Mustang that comes with Internet. Unlike the Mustang, the Camaro also gets standard satellite radio, a power drive seat, and daytime running lights. Consider the 2016 Chevrolet Camaro at Sunrise Chevrolet! The facts are clear, and the 2016 Chevrolet Camaro boasts more maximum power and standard features than the 2016 Ford Mustang. You can take a test drive of the all-new and fully redesigned 2016 Chevrolet Camaro today at Sunrise Chevrolet, your Bloomingdale-area Chevrolet dealer at 414 North Ave. in Glendale Heights, IL. We’re open Monday through Saturday, and you can contact us with any questions!